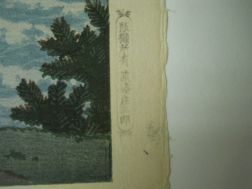 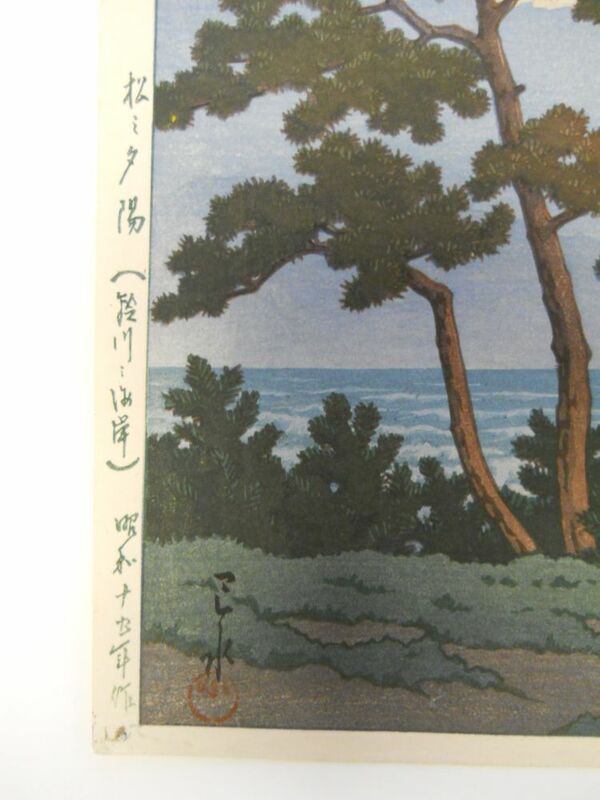 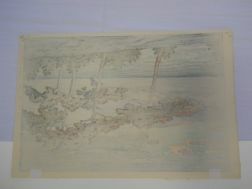 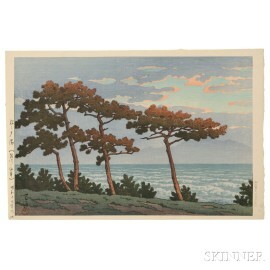 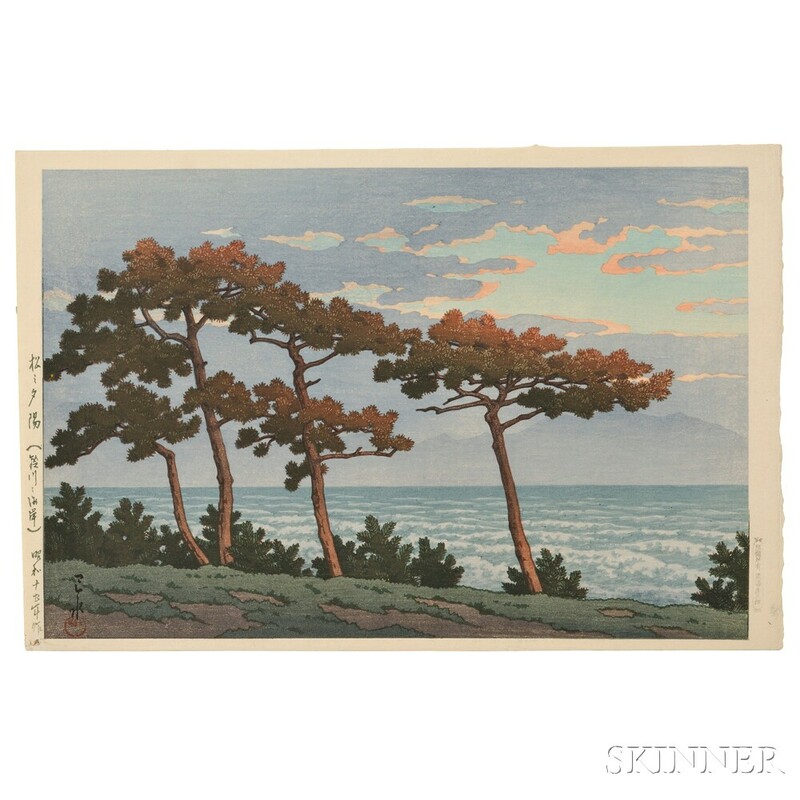 Kawase Hasui (1883-1957), Sunset on Pines, Suzukawa Shore, Japan, 1940, color woodblock print, published by Watanabe, signed with seal, titled and dated on left margin, publisher's C-seal (1929-1942) on right, oban yoko-e, 10 1/4 x 15 1/2 in. Condition: Reverse lightly taped to mat. 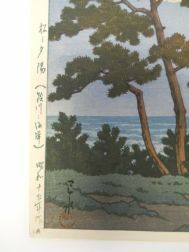 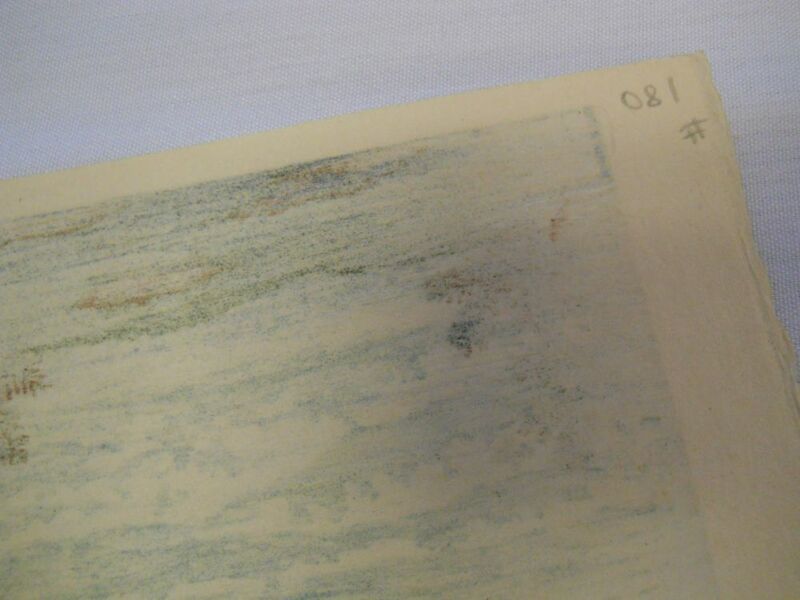 Provenance: Purchased in 1981 from Yamada Galleries, Kyoto, Japan. 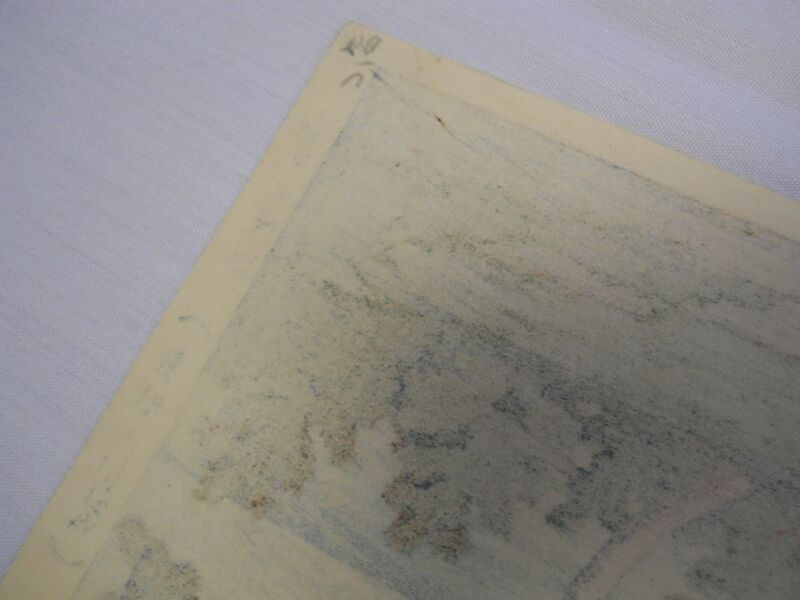 Reverse lightly taped to mat.